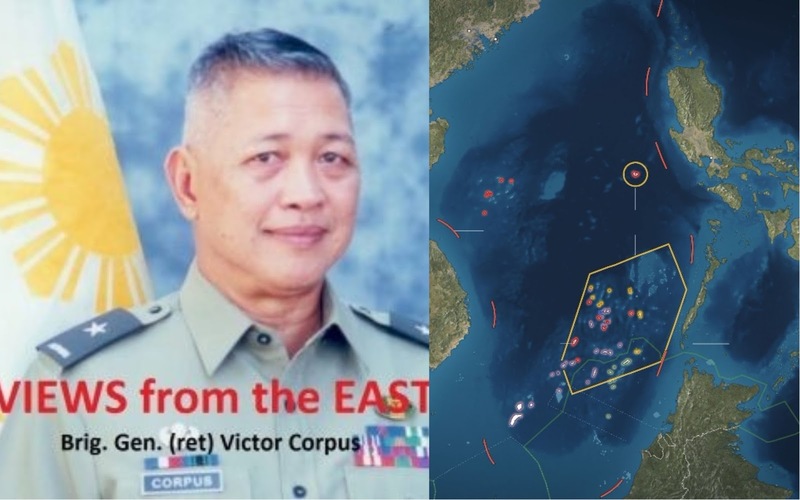 Retired Brigade General Victor Corpus takes China’s construction of artificial islands on Scarborough Shoal in another perspective with the very reason being its survival. Corpus elaborates that there are two points to take on China’s survival tactic. The first point on why China built those artificial island would be to prevent the United States from approaching China’s east coast with their Ohio Class nuclear strike submarines (SSGNs). The Manila Trench is apparently a strategic military position for the US and Scarborough Shoal was within the vicinity of the said trench, a rather “‘gateway’ for US SSGNs first strike on China”, as Corpus elaborated. But the real threat was not the presence of the submarines but rather its nuclear payload. With just four SSGNs, China would’ve been completely obliterated. 1.4 billion citizens dead within hours. “So it is not fish, or gas, or oil that China is interested in. It is China’s very own survival. And they are prepared to go to war on this issue; even a nuclear one,” said the retired high ranking military official. The US could’ve choked all of China’s oil and trade routes, thus rendering its economy stagnant. So this was the only way that China could remedy, what the retired Brigade General considered a “Malacca Dilemma”. An airfield in the artificial island could house combat aircraft, ballistic and cruise missiles that outnumber the US and its ally’s joint naval and air force.